Charles Steffen was born into a family of eight children in Chicago. He studied drawing, art history, and photography at the Illinois Institute of Technology in the late 1940s. Around 1950, while still in school, he suffered a mental breakdown and spent the next fifteen years at Elgin State Hospital undergoing treatments and electroshock therapy for schizophrenia. 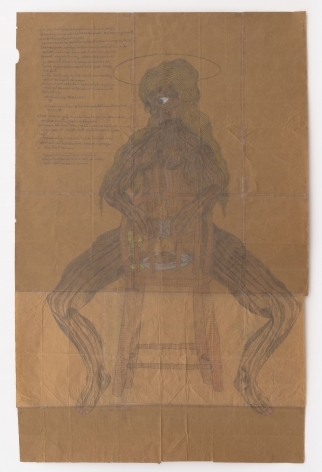 He continued to make art while institutionalized. Ebony, David, "A Spin Through Swiss Museums," Art in America, October 7. 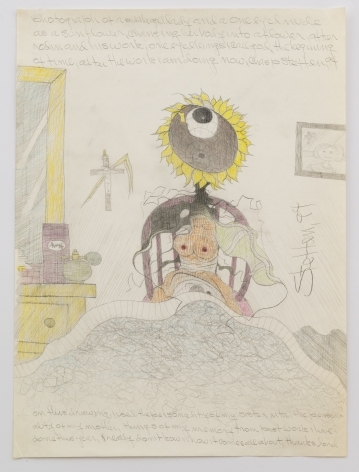 Frank, Priscilla, "Mental Patient's Hybrid Drawings Will Haunt Your Dreams," Huffington Post, August 6. 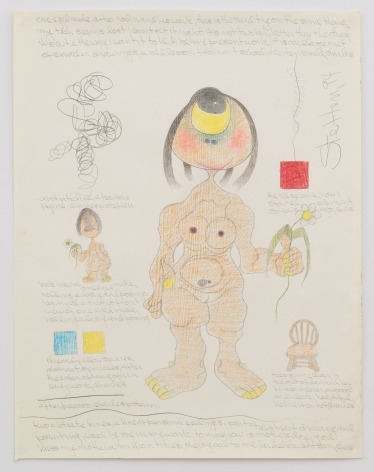 Tischler, Victoria, "Welcome to Chas's World," Raw Vision #79, Summer. David Brody, Review, artcritical.com, February 24.
Review, The New Yorker, February 15 & 22 (p. 32). Ken Johnson, “Art in Review”, The New York Times, January 29. 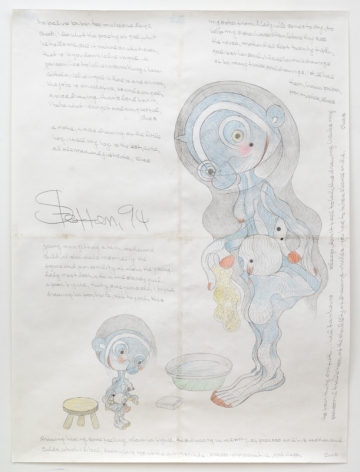 Michael Bonesteel, “Alligator People, One-Eyed Nudes and the Creation of Cartoon Brut”, Raw Vision, Spring. Nick Stillman, Art Forum, Summer. Grace Glueck, “Art in Review,” The New York Times, January 26. John McKinnon, “Charles Steffen,” Time Out Chicago. 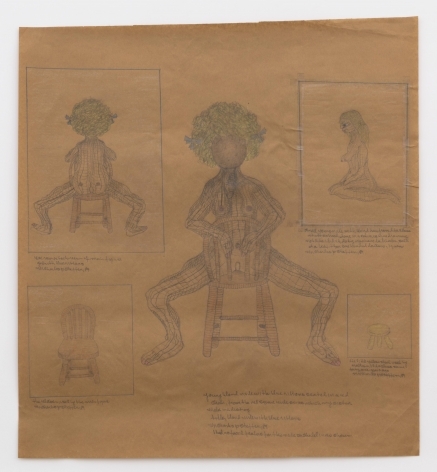 subject matter; he began to merge the human form with plants, or with tobacco stains, or with the abstract tar splotches he saw on neighborhood sidewalks. His human figures began to merge as well, encompassing both male and female characteristics. 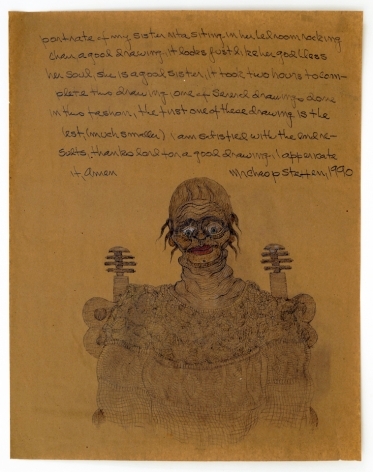 In his later years, Steffen wrote notes in the margins of the drawings. His notes varied from thanks to God, to recollections and observations, to the mundane (what he had just eaten, how much he paid for art supplies, etc.). Steffen’s lifestyle and habits changed little after he left Elgin State Hospital. When the family house was sold upon his mother’s death in 1994, Steffen moved into a small room in a men’s retirement home in northern Chicago. 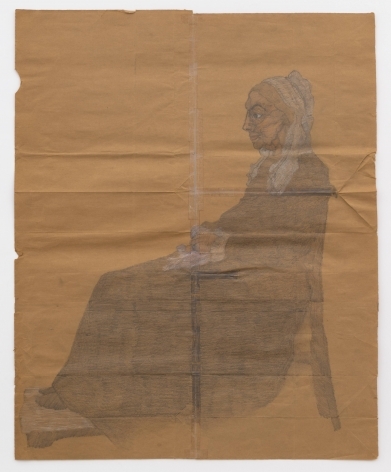 He was prepared to throw away a vast body of drawings, but instead, placed pieces with his nephew, Christopher Preissing, who had shown interest in his work. Forty years of drawing and smoking had gnarled his body and given his voice a gravelly quality. Before he died, this voice was captured in a recording was made of him reading “Jabberwocky” from Lewis Carroll’s Through the Looking-Glass and What Alice Found There (1872), a book both dear and inspirational to him.